How can the UK's engineering and manufacturing industries prevent falling victim to a skills shortage? The Chancellor of the Exchequer, Philip Hammond, delivered his Spring Statement to Parliament earlier this year. During his presentation, he referenced a report by the Office of Budget Responsibility (OBR) which suggested that, while the UK was enjoying a boost in its productivity levels, it was likely to be short-lived. In a bid to tackle the issue, the Government has announced £500m in funding for T-levels, a new technical qualification set to be rolled out in schools across the country from 2020. This latest initiative follows the launch of the Government’s Modern Industrial Strategy back in November 2017, which highlighted the need for a world-class ‘technical education system’, and included an additional £406m investment in the teaching of STEM subjects (science, technology, engineering and mathematics). The UK’s engineering and manufacturing sectors currently face an ever-growing skills gap, however, which means raising the country’s productivity levels could be especially challenging. As in many other sectors, manufacturing businesses are currently undergoing a form of digital transformation. Conventional production facilities are slowly being replaced by automated ‘smart’ factories, for example, in which employees can now often spend longer in front of a computer than they would hands-on with more traditional manufacturing equipment. However, while the industry is becoming increasingly reliant on advanced digital manufacturing technologies such as CNC machining and 3D printing for greater efficiency and improved speed to market, it is also facing a lack of engineers with the qualifications and experience required to operate this sophisticated machinery. A recent report, 2017 Engineering UK: The State of Engineering, revealed how the industry’s current demand for qualified engineers is far outstripping supply. Indeed, according to the report, the country is experiencing an annual shortfall of at least 20,000 skilled engineers, and requires around 186,000 people with the appropriate skills each year from now until 2024 to meet its manufacturing needs. A significant proportion of this shortfall can be traced back to the number of young adults leaving school without the appropriate qualifications. BCS, the Chartered Institute for IT, revealed last year that an increase of only nine percent was reported in the number of students studying computing as a GCSE subject in 2017, possibly as a result of the low number of adequately qualified teachers. As many as 70 percent of computer science teachers in secondary schools last year may have lacked the background needed to teach the subject at the appropriate level. What’s more, the same report raised concerns over the new computing curriculum, introduced by the Government in 2014, suggesting that its contents may not be sufficient to lead students to fully develop the specialised IT knowledge needed to compete in today’s job market. The manufacturing industry is not alone in facing a skills shortage, of course. There are, however, a number of reasons why this sector in particular is feeling the strain. Qualified engineers may often leave their area of specific expertise to take up a more lucrative career in a completely new field, such as accountancy, for example. Outdated views of the manufacturing industry can make it appear unattractive to prospective employees too. According to a study carried out in the US in 2016, for example, 71 percent of young people didn’t consider a career in manufacturing as a high-tech choice, despite the growing use of advanced digital technology throughout the industry. In addition, our own survey recently revealed that the manufacturing sector is still regularly associated with outdated legacy terms such as ‘manual labour’ and ‘assembly lines’ by around a quarter of senior business decision-makers in the UK. Dispelling these outdated misconceptions and educating the younger generation on what working on the modern factory floor actually entails is therefore key to inspiring more young people to pursue a career in manufacturing, and thereby closing the current skills gap. Those manufacturers unable to find the suitably qualified individuals they require may find an alternative solution in the automated software their business employs. In-house designers and engineers can use technology-driven CNC machining, injection moulding and 3D printing techniques to assist with product requirements, for example, and reduce a project’s time to market by automating digital manufacturing processes. The entire production process can be further supported by solutions such as automation software, which is used to generate designs for manufacturability analysis, easing the pressure on engineers. What’s more, by allowing manufacturers to produce on-demand parts within a matter of days, digital technologies such as these are capable of speeds which can match, and often surpass a customer’s demands. Recent reports have highlighted the different challenges currently being faced by the manufacturing industry. The latest advancements in digital technology, however, are providing engineers with the ability to deliver their products to market in a shorter time than they’ve ever been able to in the past and are helping manufacturers to fill the gap left by the shortage of available skilled workers. 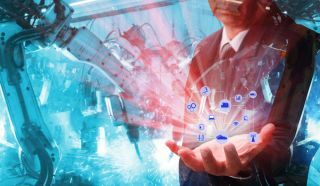 It is, of course, in the interest of manufacturers to embrace these advancements as their businesses undergo a programme of digital transformation. To do so, however, requires them to employ people who are not only able to adapt to working with this technology, but that can evolve with it as it continues to change. These businesses must recognise the importance of creating a workforce made up of intelligent, tech-savvy problem solvers, and of hiring and training a team of employees who will be able to keep up with the latest developments and innovations, driving further investment in advanced manufacturing technology, and inspiring the next generation of skilled and talented engineers for greater productivity.